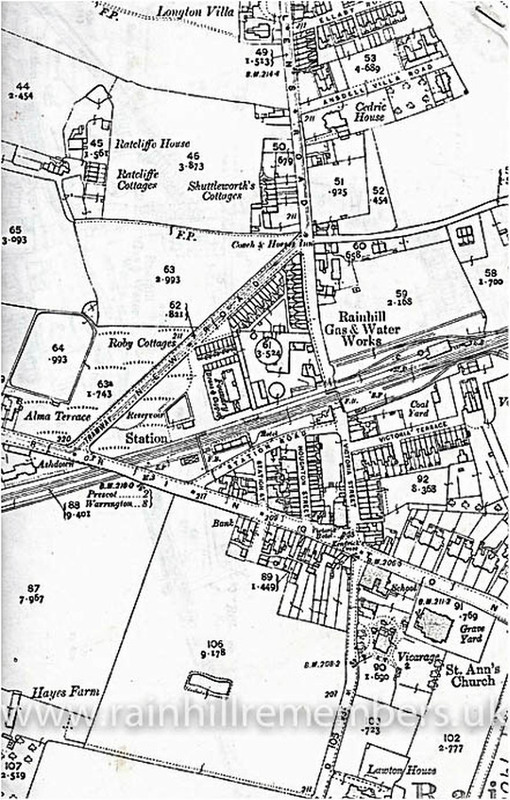 ​William was born in 1897 and lived at Roby Cottages, Rainhill Road and later at 11, Ellaby Road. He was the son of William (a brass fitter) and Annie. He had five siblings, Harry, Edward, Annie, Olive and Edna. William attested in December 1915 and his occupation at the time was given as a sheet metal worker. He was demobilised in March 1919. The map shows the position of Roby's Cottages which were built for the workers at the Foundry positioned just behind them. The Cottages were built on New Road, which had been built to avoid the level crossing where there had been several accidents.